Patent pending EZform System consists of the EZform board, EZdowel, EZbasket, and EZedge. 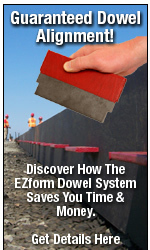 The EZform™ Dowel System was designed to save concrete contractors time and money while simplifying the process of creating large slabs-on-grade, and other concrete floors where joint forming and load transfer is critical. The EZdowel load transfer system was designed to meet strict construction standards, and meets the latest ACI-360 (R-22) guidelines. Patent pending elements of the system include: the reusable EZform™board, the EZdowel™ load transfer plate dowel, EZedge™, and the EZbasket™. The EZform System saves owners and contractors money by eliminating many costly on-site labor tasks associated with large SOG projects. • Reusable with Pre-cut chamfer. 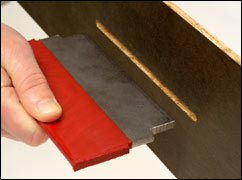 • Pre-cut dowel slots assure proper dowel alignment at all times. • Available in lengths up to 16’, and true dimensional sizes between 4” and 8” (or custom heights). • Compressible edge banding for lateral movement. • Simple one-step one-way installation. 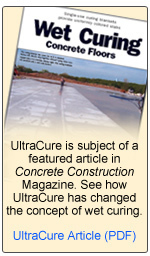 • Concrete edge protection system is shipped pre-mounted on the EZform™ board for simplified installation. elastomer between the steel plates providing compressibility and elongation for concrete movement.